In the greater Boston area, it couldn't be more important than to hire a professional power washing company to clean your exterior surfaces. Professional pressure washing for commercial buildings or residential homes needs to be done by experience power washing contractors at least once per year to keep the surfaces clean and safe from algae or mildew. 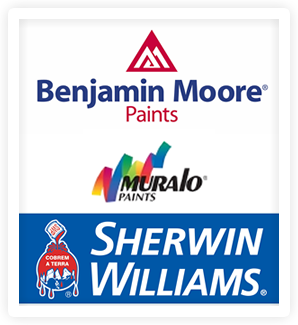 Mold, mildew, ground-in dirt and loose paint are no match for our professional painting contractors at Artisan Painting & Decorating, Inc. Your Boston area exterior is likely to have collected years of soot due to a constant onslaught of dust and air pollution. You may also see the exterior of your home develop black and green mold which isn't good for the health of your family. If you have ever noticed that your gutters are showing a black streak or that your paint looks dull and dark, power washing will remove those problems. At Artisan Painting & Decorating, Inc. our Boston power washing services uses only commercial grade detergents, can eliminate that problem for any Boston homeowner or commercial business owner. Even if you are not painting your home, you should be washing your house at least once a year. Power washing your home spruces up the exterior of the home and makes it look much cleaner then before. It revitalizes the look of the exterior paint as well, giving you a brighter finish that can often look as if it was completely repainted. If you have woodwork outdoors, you're likely to have a wooden deck, boat dock, or fences. Power washing these areas brings back the beauty of the wooden surfaces, giving you a fresh start with the look of your property. If it needs it, the woodwork can be re-stained with your choice in stain colors. 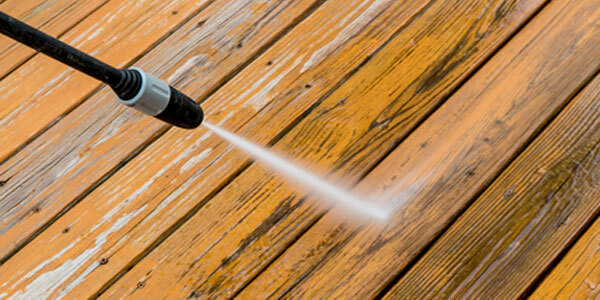 You can then have a special waterproof or protective coating applied to your decks or fences. There's no better way get durable, long lasting results from your power washing than to re-stain and reseal the area after pressure washing. Professional Boston power washing can be done for your residential or commercial walkways, sidewalks, patios, porches, driveways, and more. Cleaning with power washing rids your concrete surfaces of years of stains and ground in dirt and debris. Gum wad stains, graffiti, and plain old ground in dirt will be professionally removed when you call us for your power washing. Taking care of the outside of your property, whether residential or commercial helps you to feel better about the building, and cleaning it with professional power washing is a great way to take care of the property. When you want to get rid of or prevent any of the following from your property, call the professional pressure washing teams at Artisan Painting & Decorating, Inc. If you are looking for a Boston power washing contractor then please call (617) 947-0524 or (617) 548-3649 or complete our online request form.